Play any Blu-ray discs, Blu-ray folder and Blu-ray ISO image files smoothly. AnyMP4 Blu-ray Player allows you to play Blu-ray disc, Blu-ray folder and Blu-ray ISO image files. Besides, it can also play 4K videos and 1080p HD videos. Moreover, this Video Player can help you play any video formats such as MP4, MKV, AVI, WMV, MOV, M4V and so on. And you can choose the most suitable subtitle and audio according to your Blu-ray disc. Key Functions: 1.Play Blu-ray disc, Blu-ray folder and Blu-ray ISO image file This Blu-ray Player software can not only play the Blu-ray disc released in different regions in the world, but also play Blu-ray folder and Blu-ray ISO image files with the high quality. So with this software, you can enjoy your loved movie at home. 2. Play 4K video and 1080p HD video and general video With this Movie Player, you can also enjoy the 4K video like 4K H.265 MP4, 4K H.264 TS, XviD 4K, 4K MKV and more at home. Meanwhile, the HD MPG, HD MPEG, HD MP4 and other 1080p HD videos can also be played on this player. 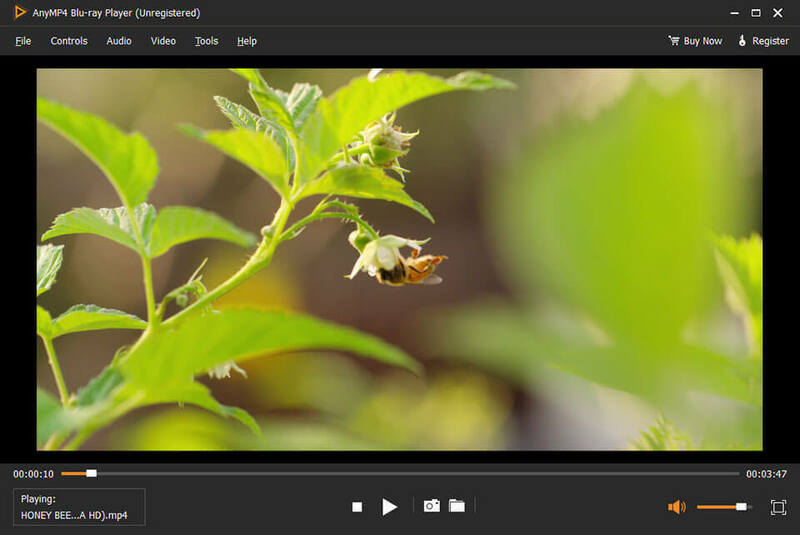 Besides, many popular video formats including MP4, MKV, AVI, WMV, MOV, M4V and so on can also play on this software. 3.Choose the most suitable audio track and subtitle track In your Blu-ray disc, there are several different audio tracks and subtitle tracks. When you play your Blu-ray disc on this Blu-ray Player, you can choose your needed audio track and subtitle track. For example, your Blu-ray disc owns English, Spanish, French, and Chinese track, you can choose English as your playing language. 4. Convenient to use With the simple designed and clear player, this Blu-ray Player Software shows you a friendly and intuitive interface. It has a few screen modes like full, half, normal, double for you to choose, so it can bring you full pleasure. End-User License Agreement (EULA) LICENSES: Shareware IMPORTANT--READ CAREFULLY This is a legal agreement between you, the end user, and AnyMP4 Studio, the developer of the program ('AnyMP4'), regarding your use of AnyMP4 products ('Software'). By installing the Software, you agree to be bound by the terms of this agreement.